2X Helping Hand Magnifier | BUDK.com - Knives & Swords At The Lowest Prices! Accept a helping hand from this extremely useful Helping Hand Magnifier. It provides 2X magnification through a 2 ½" diameter glass lens. 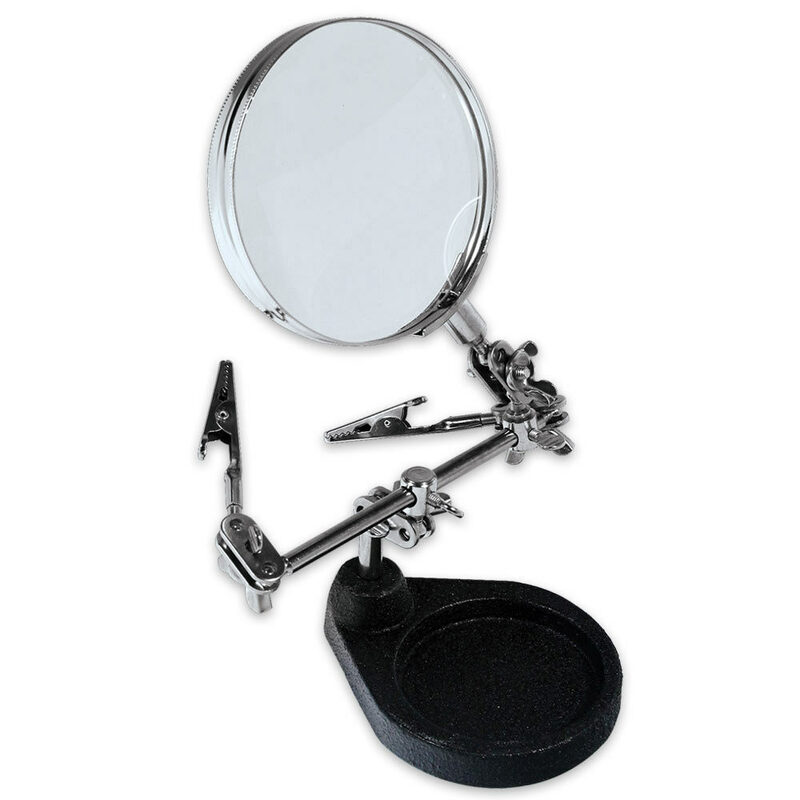 The magnifier, clips and joints all rotate 360°. Other features include a heavy-duty base, recessed round dish and chrome-plated construction.